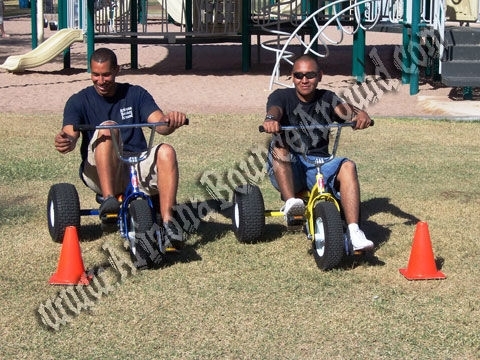 Rent Jumbo Trikes and Adult Tricycles in Phoenix, Chandler or Scottsdale, Arizona. Every one will have fun with the adult trike rentals from Arizona Bounce Around including parents, teachers or company staff. We also have a big inflatable race track for the Jumbo Trikes sure to please any age group.